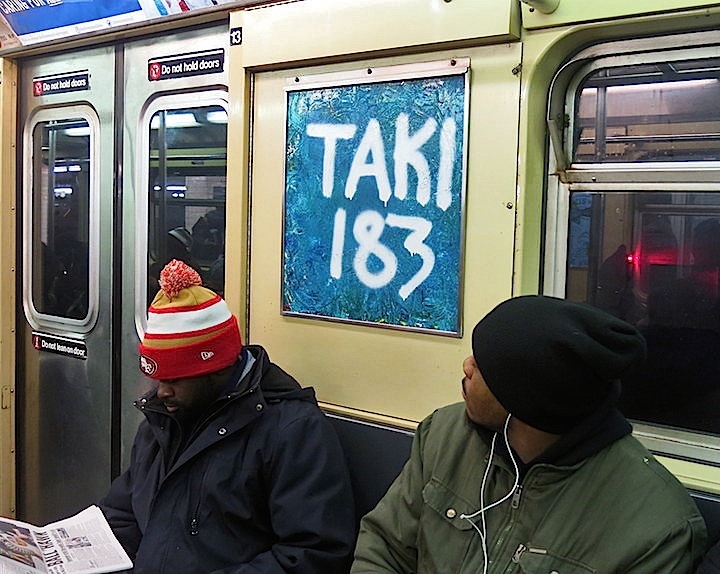 The first NYC tagger to go all-city, TAKI 183 has achieved mythical status as the father of modern day graffiti. 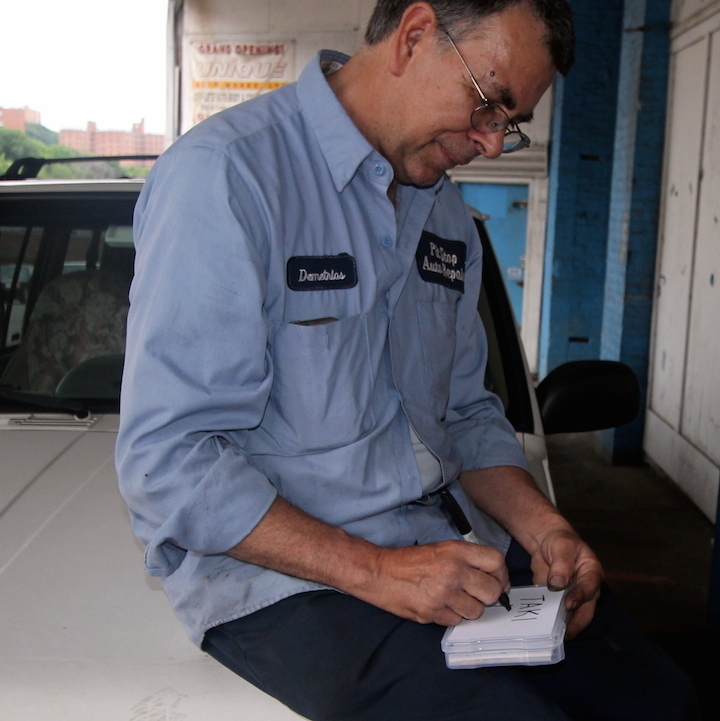 We were thrilled to meet up with him last week. 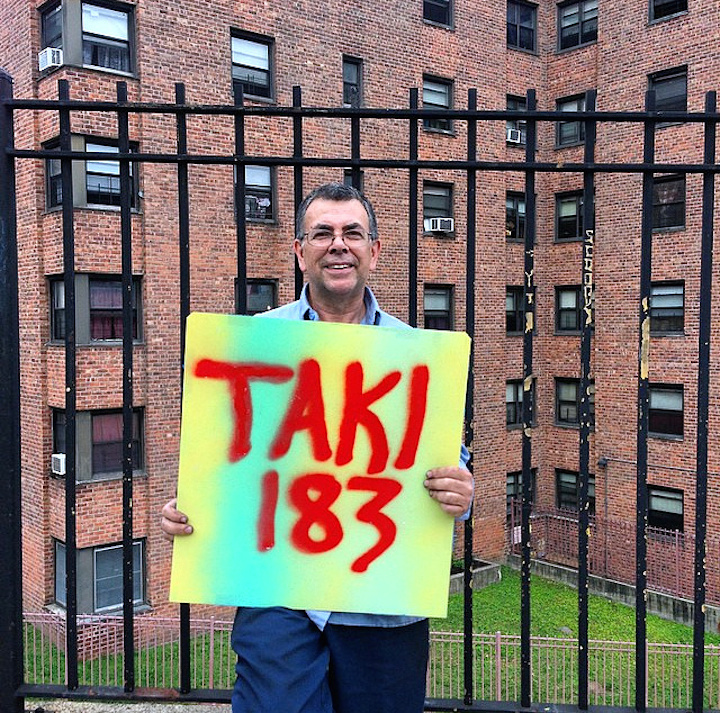 Your name TAKI is — according to what we’ve read — a traditional Greek nickname for Demetrius, and 183 refers to the street where you lived in Washington Heights. How old were you when you first got your name up? And what was the first surface you hit? I was about 16. The first surface I remember tagging was the bus terminal on 179th Street and Broadway. What inspired you to leave your mark in a public space? My friends Phil T. Greek and Greg 69 had begun writing their names in the neighborhood. They had most likely been inspired by Julio 204, whose tag first surfaced around 1964. And why did you keep doing it? I liked the feeling of getting my name up, and I liked idea of getting away with it. I soon became obsessed. Once I started, I couldn’t stop. Any flat surface was good. Subways were good. If there was a blank space, I hit it. Do any early memories that stand out? One night when I came upon a huge empty space on a wall across from George Washington High School, I decided that instead of using a marker to write my name, I would use a paintbrush with black paint. I wasn’t prepared for the mess that it made. And I remember returning home with black paint all over me. In the summer of 1971, you were the subject of a significant article in The New York Times. How did you feel about that? How did that New York Times piece impact you? It gave me legendary status. After all, if The New York Times says so, it must be true! Suddenly the media were all interested in not only what I was doing — my greatest hits — but in the entire culture of tagging and graffiti. How did your family react to what was going on? 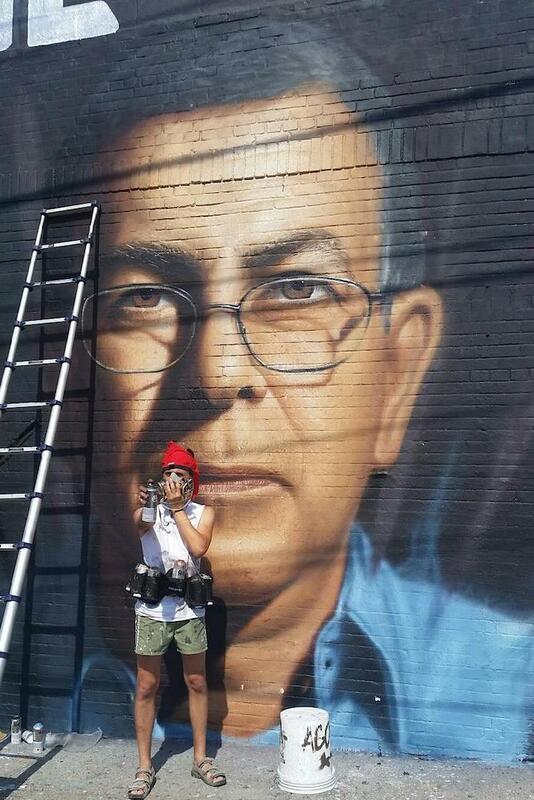 Have you any thoughts about the direction that graffiti has taken? I don’t really pay attention to it. If you were born after 1955, I don’t know you! But I do appreciate the graffiti over on 207th Street. You’ve been riding the trains again in Nic 707‘s Instafame Phantom Art Project. Can you tell us something about that? I think it’s great! I like Nic’s vision of taking an old concept and presenting it in a new way. How do you feel about your status in the graffiti culture? I feel good about it. I like having a place in history! Have you any theories as to the world-wide popularity of modern graffiti? It’s a great outlet for talent and creativity. And getting up in a public space gives you great exposure. Not everyone has the means or know-how to get into a gallery. What advice would you give to the young taggers out there? Maybe not the first,but without a doubt the guy responsible for the graff explosion. And a genuinely humble man. 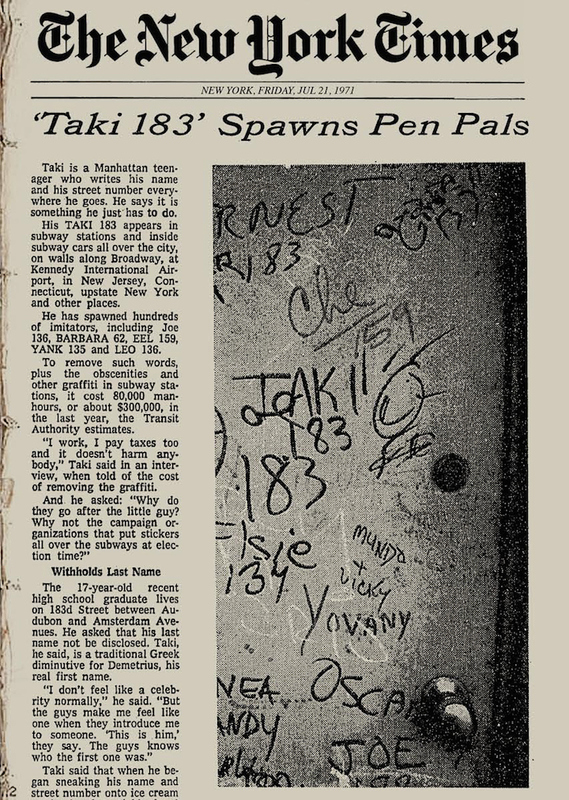 On behalf of writers everywhere,God Bless You TAKI.